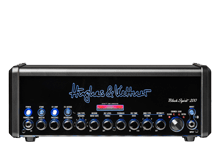 When I first plugged into a Hughes & Kettner, everything I played felt effortless, which is always the sign of gear that fits you just right. 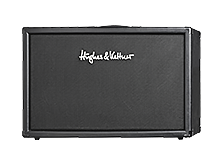 The range of tones I’m able to dial in is incredibly useful for someone like me who likes to play in many different styles, and the cutting-edge technological features of these amps have completely streamlined my workflow in the studio. 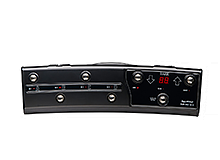 My H&K amps have the flexibility for a single-coil spank or a soul-crushing humbucker distortion, all while being the most aesthetically cool piece of gear in the room. 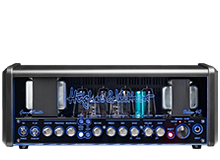 I’m a Hughes & Kettner fan for life. Tyler Larson is the founder of the guitar-centric website, Music is Win, which is both a social media destination and learning solution for guitar players of all ages and skill levels. After earning his B.M. degree from the prestigious Berklee College of Music, which includes alumni such as Steve Vai, John Petrucci, Al Di Meola, and Pat Metheny, Tyler began his career as a professional musician teaching guitar privately and playing live music. In 2015, he founded Music is Win, which has carved out a deep niche in the online guitar community. His content ranges from his own unique style of guitar lessons to humorous skits and other content that resonates with guitar players. His YouTube lessons cover tricks, tips, and techniques, as well as basic to advanced music theory, and everything in between. These videos serve as a sample of what’s available in his extensive guitar learning platform, Guitar Super System, which has amassed tens of thousands of students to date and is among the most popular online guitar education methods in the world.